Let The Saskatoon Home Team help every step of the way. When purchasing a home, you are faced with a multitude of decisions! The primary one is whether you are actually prepared to purchase a home. Locating the perfect home is not always an easy task, and obtaining a mortgage loan can be a complex and tiring process. Although, once you have determined that you are ready to move forward with the required effort towards your home-purchasing goal, the rewards are unquestionable. As your Saskatoon and area REALTORS®, we will make the process of purchasing a home easier, more enjoyable, less time-consuming, and less expensive than if you undertook this challenge on your own. We will help you prepare so that sellers perceive you as a preferred buyer, help you locate and assess properties for sale in Saskatoon that match your specifications, and help you through the myriad of details attending the actual purchase. We are always familiar with the current homes on the market in Saskatoon, and we know neighborhood values well. We can help you determine which properties are fairly-priced and in good condition before you start your search. Think of yourself as zeroing in on a target, going from the general to the specific. Consider area (city, suburban neighborhood, country); community (north, south, east, or west side of Saskatoon); neighborhood (older and settled or sparkling new; a particular school zone; recreational facilities; and other community services such as transportation, day care, library, stores, entertainment). Ask yourself how many minutes you are willing to commute to work. Research your favourite neighbourhoods here! Think about home styles. How much space do you need? Does your situation require a one-level home, or are stairs acceptable? Consider size and kind of property. Do you want a newer home, or maybe a character home in the heart of Saskatoon? Someday you or your heirs will want to sell. Consider how long you expect to live in this particular home. mortgage company. This can be done over the phone or even online in a matter of minutes. Get an idea what you can qualify for. 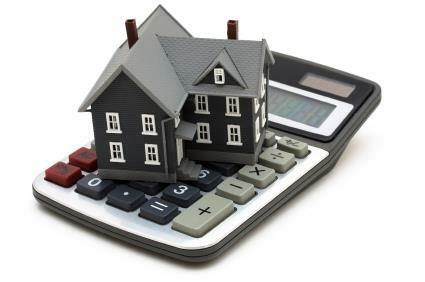 Try our mortgage calculator here. Call us and we will refer you to a mortgage professional in Saskatoon that has an excellent reputation and track record for successfully acquiring loan approval for his/her clients. We will find the right home for you once you've been pre-qualified and know what price range you want to stay in. As your REALTOR® team, we can help you determine which properties fit your needs by using the (MLS) Multiple Listing Service system to locate them in and around Saskatoon. We will help you complete your financing and inspections, and close on the transaction. Our top priority, as REALTORS®, is to make sure that your home buying experience is pleasant, cost-efficient, and successful.